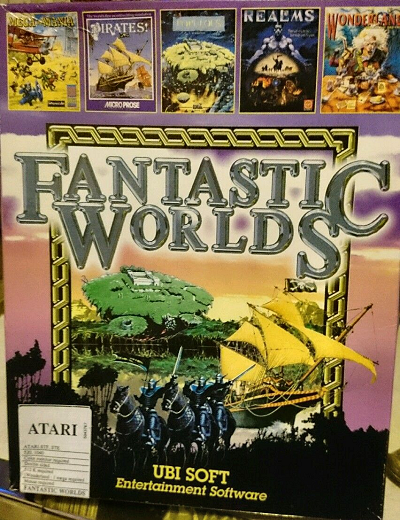 Compilations were the bundles of the '80s and '90s, and, admittedly, the Fantastic Worlds one was one of the very best. It included the classic Pirates! by Sid Meier, brilliantly illustrated and wildly innovative text adventure Wonderland, proto-RTS Mega-lo-Mania, impressive fantasy strategy offering Realms, and seminal god-sim Populous. Oh, and you can grab this lovely box for your Atari ST via this Fantastic Worlds eBay auction. The games come in their original box with manuals, and have been tested. Seller ships to many places worldwide.